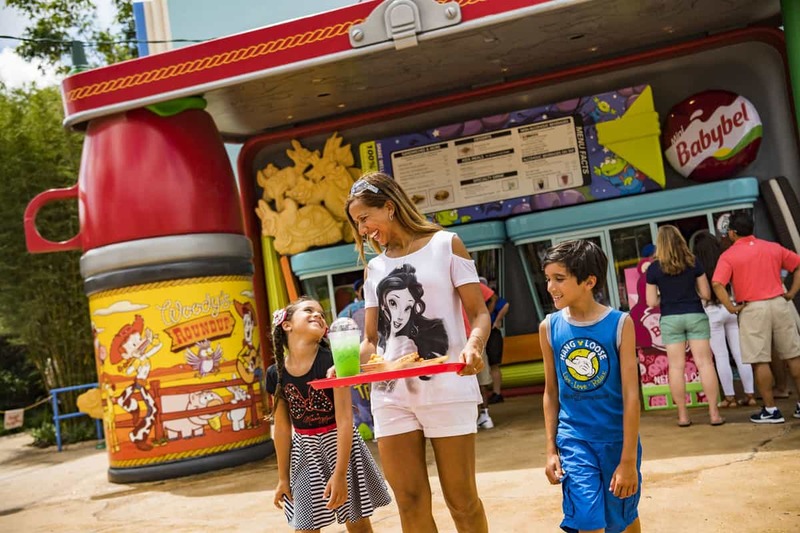 One of the newest counter-service restaurants at Disney World, Woody’s Lunch Box at the new Toy Story Land, was an instant hit with Guests! Some of the favorites on the menu include the lunch box tarts—raspberry or chocolate hazelnut—which are a Disney spin on a filled pastry, a bit like a Pop-tart (only much better). “Totchos” are another Guest favorite—tater tots (affectionately called potato barrels) topped with chili, shredded cheese, queso, sour cream and corn chips. Woody’s Lunch Box also serves an amazing Grilled 3-cheese sandwich with provolone, cheddar and cheddar cream cheese spread. Or try the BBQ Brisket sandwich with tomato basil soup. Adults can eat for under $15 per person, and kids can eat for under $10.